For the last few years Adidas has been doing some pretty nice things with the Italy shirt, giving the Azzurri more of an identity and distinctive feel than in the days of the worryingly skin-tight Kappa shirts of yore. 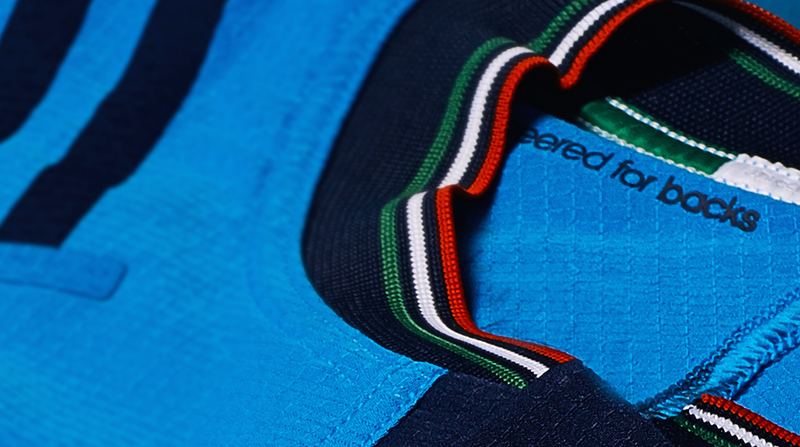 Last season we saw Adidas go for an all-blue look for the Italy home shirts, and they’ve shifted it up again this year, making the jersey’s primary contrast colour (and shorts colour) a dark blue. It’s quite a departure, and has certainly raised a few eyebrows, but we love it. 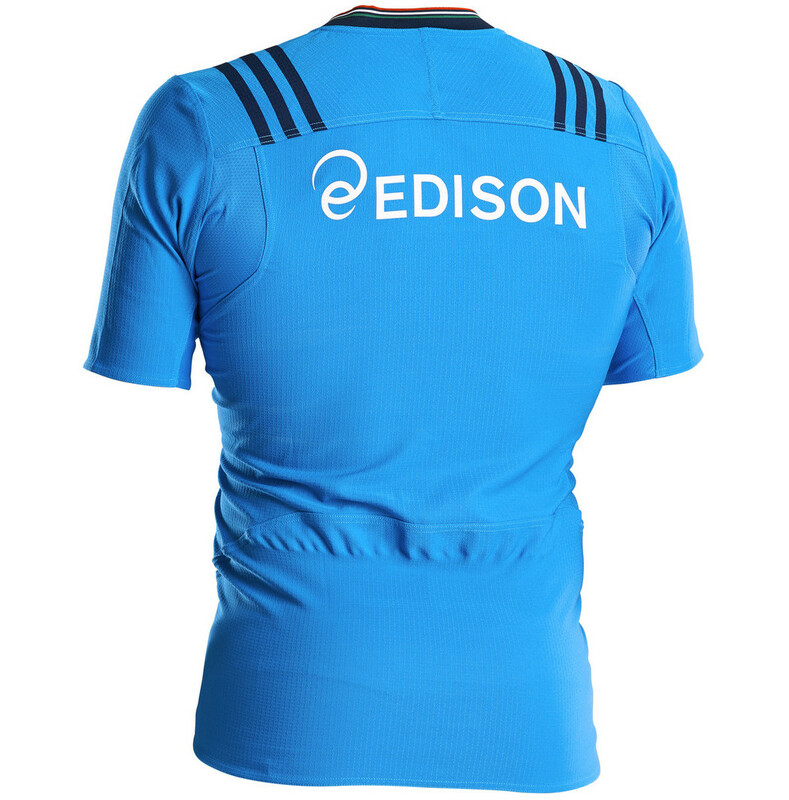 There are a few too many teams in rugby union with the blue shirt, white shorts combo, to the point where a lot of these teams lack an instantly recognisable visual identity. You can see throughout the rugby world how teams have been doing subtle things with their colour schemes to make them look more distinct – Wales went all-red to set themselves apart from the plethora of red-with-white teams out there, and France have also changed their jersey colour to set them apart from the likes of Scotland. You’ll also notice that there’s a bit more gold on display than we’ve seen in a while. For the first two years of their sponsorship, Adidas altered the colour of the FIR crest so that it was primarily silver, not gold, and reflected it on the sponsor badges etc. 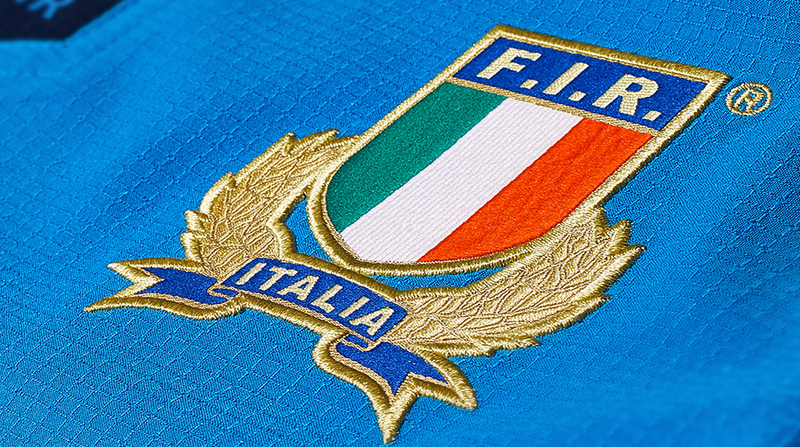 It gave the shirt a nice, clean look – even if it did make jokes about Italy always coming second best a little bit easy. This is undoubtedly a more restrained design than last year’s jersey, with its red, white and green stripes, but we don’t think it suffers from it. Far from it. 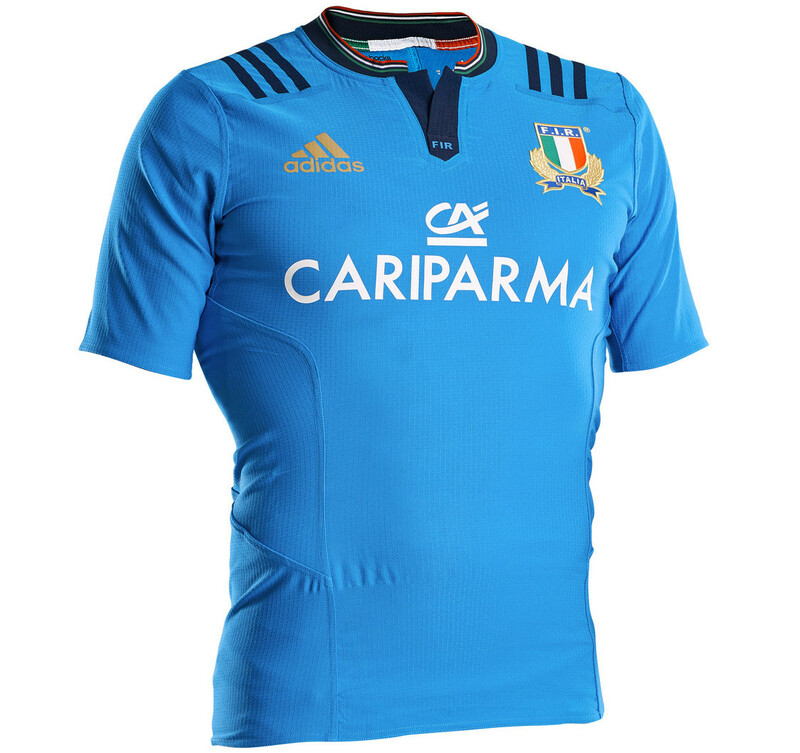 We think the dark blue shoulder stripes are probably the best implementation of the new Adidas ‘over-the-shoulder’ style we’ve seen so far, and the retention of the Italian flag stripes in much more subtle form around the collar is a really nice touch.